October 30, 2016 – Links International Journal of Socialist Renewal reposted from InterAksyon – Just into his fourth month as head of state, President Rodrigo Duterte of the Philippines has managed to become one of the most controversial actors on the global stage, rivalling if not eclipsing Donald Trump. His war on drugs, marred by the extra-judicial execution of drug users and peddlers, won him the title of “serial killer” on French television. More recently, his telling US President Obama to “go to hell” and his declaration of “separation” from the United States and “alignment”with China and Russia during a state visit to Beijing has alarmed and befuddled governments in the East Asian region. 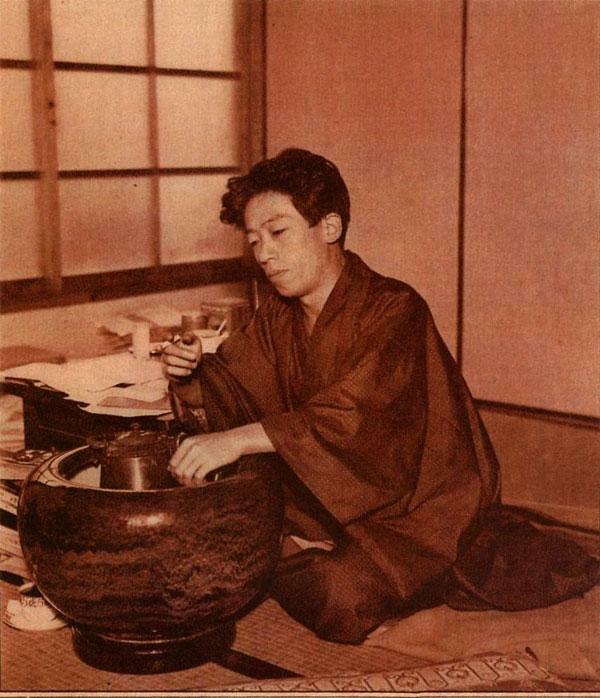 April 15, 2015 – Links International Journal of Socialist Renewal -- In 2008, one of the best-selling novels in Japan was an 80-year-old novel, Kanikosen (Crab Cannery Ship) by the communist author Kobayashi Takiji, detailing the wretched working conditions on a fishing ship and the crew's strike and determination to overthrow their oppressors. The novel, previously selling a moderate 5000 copies per year, shot up to sales of 500,000, along with the release of four manga versions reaching many more readers. March 11, 2012 -- Soon it will be one year since the 3.11 [March 11, 2011] TEPCO Fukushima Daiichi nuclear reactor accident. Many people were forced to evacuate and still continue to live under hardship without sufficient compensation. Despite the fact that an increasing number of people (as high as 70%) in Japan now wish to put an end to nuclear power, the Japanese government is obsessively promoting nuclear power even after the Fukushima accident. An unrealistic declaration made by Prime Minister Noda that the nuclear reactors had reached a state of cold shutdown and that this element of the power station accident had thus been brought to a conclusion; an inhuman policy which exposes children in Fukushima to the high level of 20mSV as a level for evacuation; the hiding of proceedings of initial government emergency meetings on handling the nuclear power accident; the ratification of the export of nuclear reactors through a majority vote by parliament members; and a strong push to restart nuclear power without any provision of appropriate safety measures ... Such policies are possible because “The Nuclear Village” is still holding power over nuclear policy in Japan, even after 3.11. What is at stake today is democracy in Japan. Before the crisis, US household consumption accounted for approximately 16 per cent of total global output, with imports comprising a significant share and playing a critical role in supporting growth in other countries. In fact, “as a result of global production sharing, United States consumer spending increas[ed] global economic activities in many indirect ways as well (e.g. business investments in countries such as Germany and Japan to produce machinery for export to China and its use there for the manufacture of exports to the United States)”. George Monbiot vs Helen Caldicott: Who is right about the Chernobyl death toll? 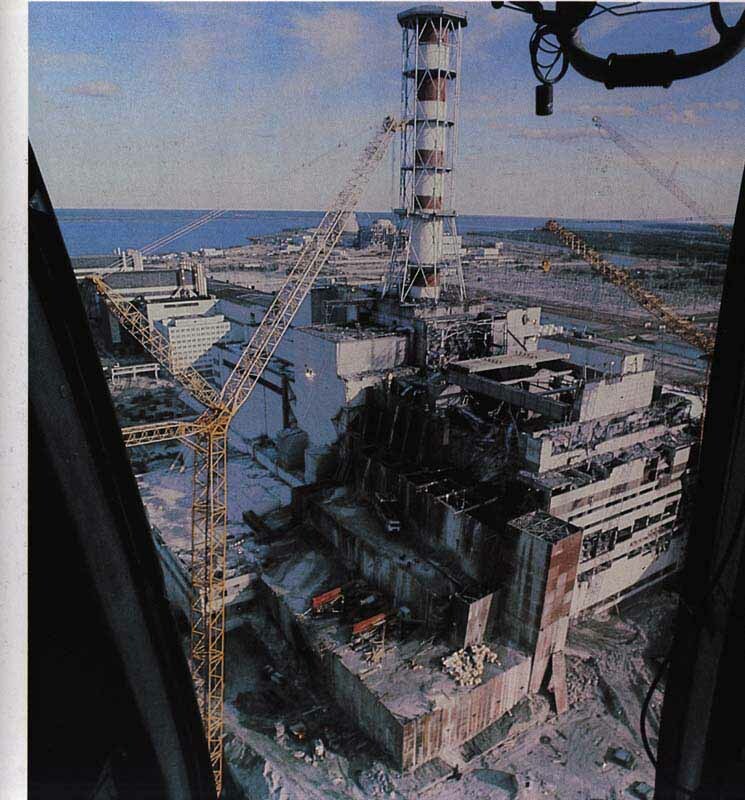 April 17, 2011 -- Green Left Weekly -- With the 25th anniversary of the Chernobyl nuclear disaster falling on April 26, a debate is brewing over the estimated death toll. The debate has erupted with a heated exchange between prominent British columnist George Monbiot and anti-nuclear campaigner Dr Helen Caldicott. Monbiot claims the “official death toll” from Chernobyl is 43. Caldicott puts the death toll at 985,000. Someone's wrong. Perhaps they both are. The debate over the Chernobyl death toll turns on the broader debate over the health effects of low-level ionising radiation and in particular the risk of cancer. The weight of scientific opinion holds that there is no threshold below which ionising radiation poses no risk and that the risk is proportional to the dose — the “linear no-threshold” (LNT) model. April 13, 2011 -- Bulletin of the Atomic Scientists -- It is tragic that Japan, the most fiercely anti-nuclear country on the planet, with its Peace Constitution, three non-nuclear principles, and commitment to nuclear disarmament, is being hit with the most dangerous and prolonged nuclear crisis in the past quarter-century -- one whose damage might still exceed that of Chernobyl 25 years ago. 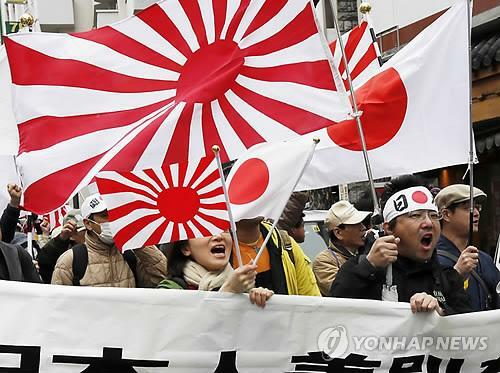 But Japan's anti-nuclearism has always rested upon a Faustian bargain, marked by dependence on the United States, which has been the most unabashedly pro-nuclear country on the planet for the past 66 years. It is in the strange relationship between these two oddly matched allies that the roots and meaning of the Fukushima crisis lay buried. March 29, 2011 -- Cool the Earth -- George Monbiot, the well-known environmentalist and journalist, managed to surpass the nuclear power lobby in the downplaying of the Fukushima disaster. First, he wrote that the disaster should not lead to an end of nuclear power, since that would mean more coal plants, so we should build more nuclear plants (Monbiot.com). Then, he wrote that since no one died from Fukushima he is now a nuclear power advocate (Monbiot.com). Amazing. His arguments are as far fetched as they are deceiving. It is worth discussing them in detail, going through the four strategies that he uses to make his point. Children being scanned for radiation exposure near Fukushima, March 12. 1. Its total emissions — from mine to dump — are taken into account, and demonstrate that it is a genuinely low-carbon option. Evacuees sit through an earthquake at a temporary shelter at a stadium in Koriyama. Photo: Reuters. March 17, 2011 -- On March 11, at 2:30 PM (JST), the tremendously powerful earthquake of magnitude 9 hit the vast area of eastern Japan, comprised of northeast and Kanto regions. The earthquake gave rise to the formidable tsunami, which devastated numerous cities and towns all along the Pacific coast from the northernmost prefecture of Aomori to the southern Chiba prefecture. At the time of March 17, the number of deaths and missing persons is already close to 20,000, and the number continues to increase. 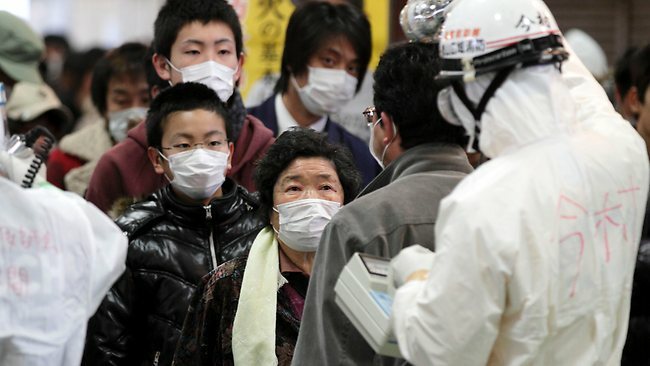 People are tested for radiation exposure near Fukushima. March 17, 2011 -- International Viewpoint via Climate and Capitalism -- What has happened was entirely predictable: yet another major nuclear “accident”. At the time of writing, it is not yet certain that it will take on the dimensions of a disaster similar to Chernobyl, but that is the direction in which things, alas, look set to evolve. But whether it develops into a major disaster or not, we are once again faced with evidence that nuclear technology can never be 100% secure. Is Australian uranium fuelling Japan’s looming nuclear disaster? Explosion at the Fukushima Daiichi nuclear power plant. Latest: The British Independent reported on March 16 that four of Japan’s atomic reactors are in dire trouble at once, three threatening meltdown from overheating, and a fourth hit by a fire in its storage pond for radioactive spent fuel; radiation at about 20 times normal levels had been detected in Tokyo. August 6 and August 9 mark the anniversaries of the US atomic-bomb attacks on the Japanese cities of Hiroshima and Nagasaki in 1945. 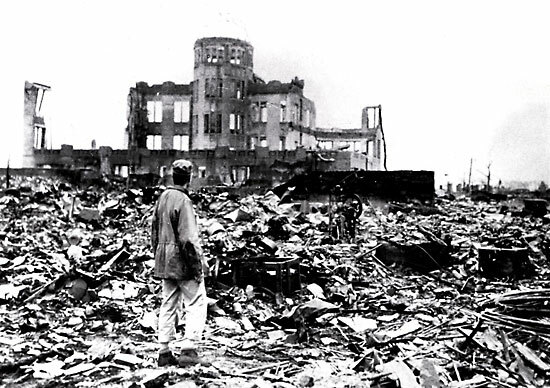 In Hiroshima, an estimated 80,000 people were killed in a split second. 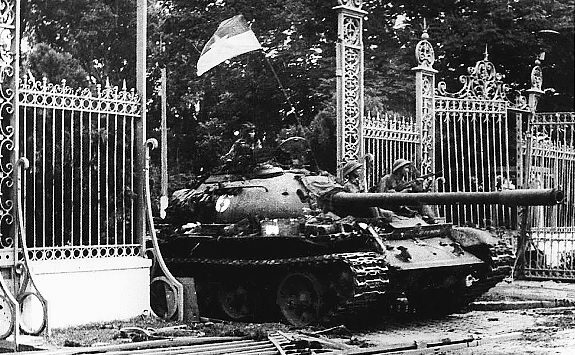 Some 13 square kilometres of the city were obliterated. By December, at least another 70,000 people had died from radiation and injuries. Three days after Hiroshima's destruction, the US dropped an A-bomb on Nagasaki, resulting in the deaths of at least 70,000 people before the year was out. A tiny group of US rulers met secretly in Washington and callously ordered this indiscriminate annihilation of civilian populations. They gave no explicit warnings. They rejected all alternatives, preferring to inflict the most extreme human carnage possible. They ordered and had carried out the two worst single terror acts in human history. 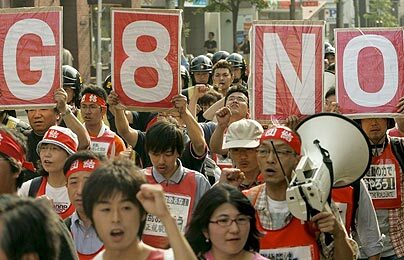 August 6 and August 9 2009 mark the 64th anniversaries of the US atomic-bomb attacks on the Japanese cities of Hiroshima and Nagasaki. In Hiroshima, an estimated 80,000 people were killed in a split second. Some 13 square kilometres of the city were obliterated. By December, at least another 70,000 people had died from radiation and injuries.